Today, I would like to address some of the misconceptions by Christian Evangelical leaders who suggest that those of us who see pagan influences in our celebration of Easter, are somehow denying the meaning of Easter, or seeking to discredit Jesus's Resurrection. Nothing could be further from the truth! I rejoice with my Christian brothers and sisters when they celebrate the reason for Easter.. that Christ died on the Cross for us, so that our sin debt would be paid and we can be found acceptable in the sight of our Holy God... and that He was resurrected as the first among us who believe in God's power to do so. 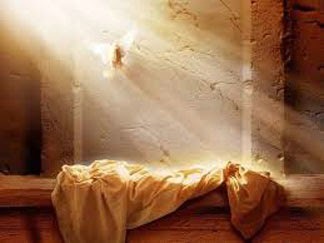 His resurrection is a mirror of what we will one day experience! Hallelujah! I simply choose to see more in this celebration than what the Church has traditionally taught. I have been blessed to have the Holy Spirit reveal that God's Feasts show His plan for mankind's redemption, and that the Feast of Firstfruits was God's instituted "rehearsal" for the harvest of Jesus's soul and His resurrection, and the promise that we will one day be a part of God's end-time harvest. This recognition in no way undermines the faith of those who want to celebrate Easter. For me, I just see no Scriptural reference to a holy day celebration called "Easter" in Scripture; but I do see references to Firstfruits and its implications of Christ's and all Christians' resurrection in Exodus, Leviticus, Deuteronomy, Numbers, 2 Kings, 2 Chronicles, Nehemiah, Proverbs, Jeremiah, Ezekiel, Hosea, Romans, 1 Corinthians, James, and Revelation. When I suggest that the name "Easter" is an Anglo-Saxon derivation of Ishtar, the pagan fertility goddess, and that a bunny, colored eggs and sugary confections come from the celebration of Tammuz's birthday (Google who this Babylonian deity was, and then see reference to him in Ezekiel, Chapter 8), I am not declaring that Easter is a Pagan holiday or negating the reality of our Lord and Savior's resurrection. To accuse me of that is blatantly false. It is not a matter of whether I believe Christ's Resurrection happened; I absolutely do! And I have never contemplated that it was ‘stolen’ or appropriated from Roman, Greek myths or the Mithras cult. There is no contradiction between myself and those who choose to celebrate Easter. The only difference between us is how we choose to celebrate and recognize the joyous occasion of Christ's Resurrection. If someone chooses to celebrate in the traditional manner of the Church, then I am happy for them, and share in the hope that the day offers. I simply choose to celebrate in a different manner, and honor God's instructions and revelations in Scripture about that same blessed event. Let's not let confusion and mistaken assumptions result in acrimony among those God calls His own.